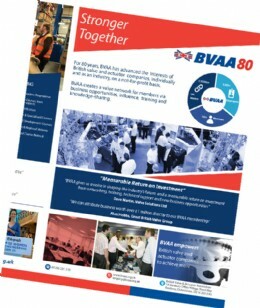 For nearly 80 years, the BVAA has been advancing the interests of the British valve and actuator industry. We�ve taken this to new heights in recent years through active involvement with influential bodies such as the Department for International Trade. In September, BVAA Chairman Colin Findlay collaborated with the office of George Hollingbery, Minister of State for Trade Policy, regarding UK-Kazakhstan cooperation in the oil and gas sector. 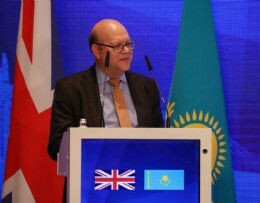 Kazakhstan is currently the third fastest growing export market for the UK, worth �2billion. It represents an important market for our members, and we provided compelling information about the capabilities and technical authority of British valve and actuator companies ahead of a ministerial briefing. This year, we�ve strengthened and realigned our external proposition and messages to better reflect the scope, scale and impact of the BVAA and our members. This enables us to properly convey the engineering skill, manufacturing excellence and technical superiority of British valve and actuator companies. It also means we can respond quickly and effectively when we receive information requests from the likes of the DIT, delivering additional value for members at an industry level. With 9,000 UK people working in valve and actuator companies, our industry is a major STEM employer and it contributes �3billion annually to the UK economy. The international significance of the British valve and actuator industry is also impressive, thanks to a well-earned reputation for quality, integrity and reliability. 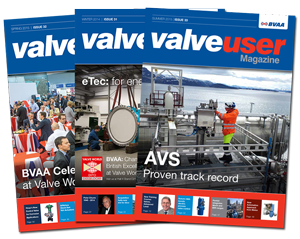 Today�s British valve and actuator industry is a hub of innovation, skills and expertise. Here at the BVAA, we�re proud to represent it and help empower member organisations to achieve more through practical support as well as exerting our influence where and when it is most needed.